Federation volunteers assisted with on-water cleanup, where they collected various items including rope and buoys. 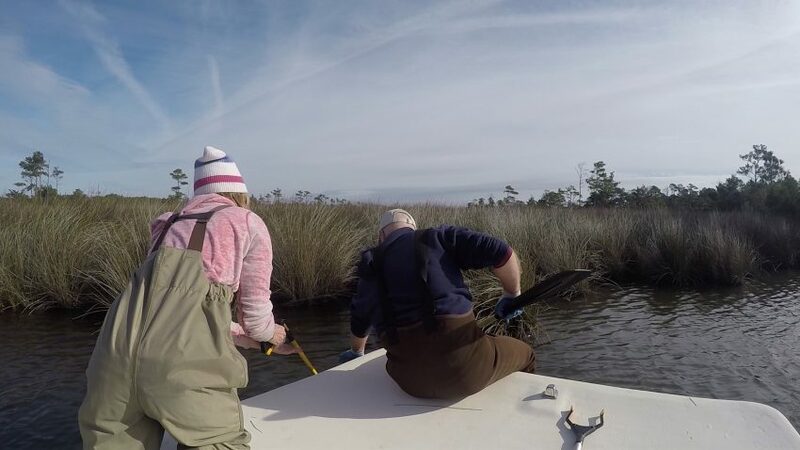 The North Carolina Coastal Federation teamed up with the Town of Manteo on Nov. 18 for the town’s annual Fall Litter Cleanup. The federation has helped with multiple litter pickups by providing support for the water-based portion of the cleanup. Erin Fleckenstein, coastal scientist and northeast office manager, and Reilly Kelly, AmeriCorps member, had help from two federation volunteers to fill up three bags of trash, a bin of recyclables and a bushel basket which was then filled with rope and buoys that were pulled out of the shoreline along the town. Multiple groups scoured across the town looking for trash, each with their own section to cover. At the end of the day, volunteers gathered to celebrate all that they accomplished. Altogether, a flatbed was piled high with over 100 bags of trash with the consensus that cigarette butts were the most prevalent type of litter found. The federation won the competition for most unusual item with this jar of pickled hot dogs. “The haul was significant, but we had almost more children, youth and family volunteers than adults this time around which made the day lots of fun,” said Sarah Benson, event coordinator. 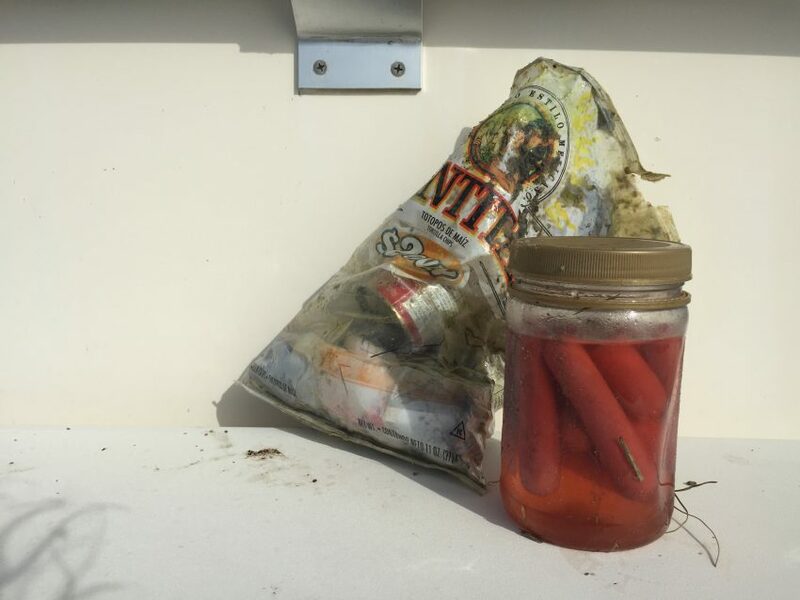 The federation also entered the competition for the most unusual item, judged by Kermit Skinner, Manteo town manager, and won with their finding of an unopened jar of homemade pickled hot dogs that they pulled out of the marsh.